You might be happily married, or divorced, or you may find yourself somewhere in between. Or perhaps you have a friend or family member going through divorce. Divorce touches almost everyone’s life, at some point. As devastating as divorce can be, it is also a time for growth and new opportunity. If your parents divorced when you were a child, how did this affect your financial life? If your parents are still together, how did your friends whose parents divorced cope with the situation? For most people, divorce is the largest single legal and financial transaction of their lives. Divorce isn’t just about the law, it’s also about three things: family, emotion, and money. A successful outcome to divorce depends on managing all three.Pick the question your Club finds most interesting. If there’s still time, pick another one — or make up your own! If you have been through a divorce, what lessons did you learn from the experience? What would you have done differently? What worked well for you? How have other women you know navigated divorce to a successful conclusion? What methods have you developed to manage your emotions and finances during divorce? I will attend a seminar or support group on divorce to get a “real world” picture of what divorce is like. 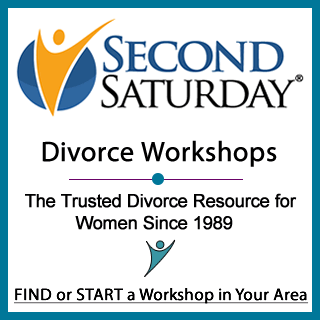 I will talk with other women who have been through divorce and learn from their experiences. I will read a book on the subject of divorce, such as The ABCs of Divorce for Women . I am a successful survivor. I am making positive changes in my life. I can make the best of any situation. If your group decides to Stay in the Zone then, future Money Star, check out these fun articles so you can discuss them at your next meeting. Even if your group decides to move to the next Zone, you still can explore these on your own. Who among your friends and family has successfully done her own divorce? How can you combine doing your own divorce with some level of professional consultation? What is the most important thing to look for in a family law attorney? How can you avoid being “penny-wise and pound-foolish” with regard to your attorney’s services? What can you do to get the support you need as a single parent? How can you join together with others in your situation? What can you do to gain a “future perspective” on your divorce-to rise above the emotions and concerns of the moment? What financial preparations can you make right now for your divorce?